The House System at Harrow Way is something we are extremely proud of. Each year the 3 houses namely Kestrels, Buzzards and Hawks fight it out through a jam packed calendar of competitions and events to determine who wins the house cup in the end of year celebration assembly! 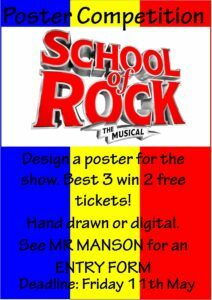 Competitions are wide and varied allowing all students to participate and use their individual skills to win points for their house! Points are also awarded for total number of stamps so following our 3 school rules of Be Ready, Be Respectful and Be your Best really does pay! Being an active member of your house and taking part in competitions and events is encouraged because it allows opportunities to develop other important life skills such as team work, creativity and effective communication. 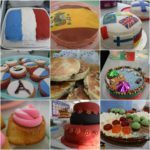 On the 26th September, Harrow Way celebrated the European Day of Languages. The aim of the day is to understand the diversity of language and culture within Europe. The European Day of Languages involves millions of people across 45 countries in activities to celebrate linguistic diversity and the benefits of being able to speak another language. 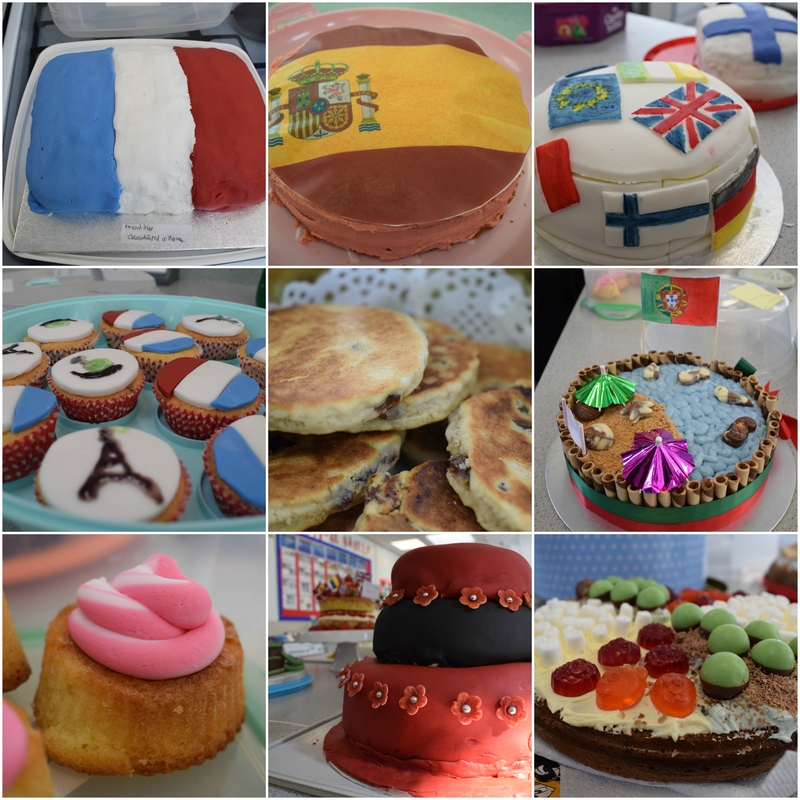 Year 7 students were invited to enter a bake off competition in the theme of a European Country, to win house points for their house. We are pleased to announce the winners and runners up below. 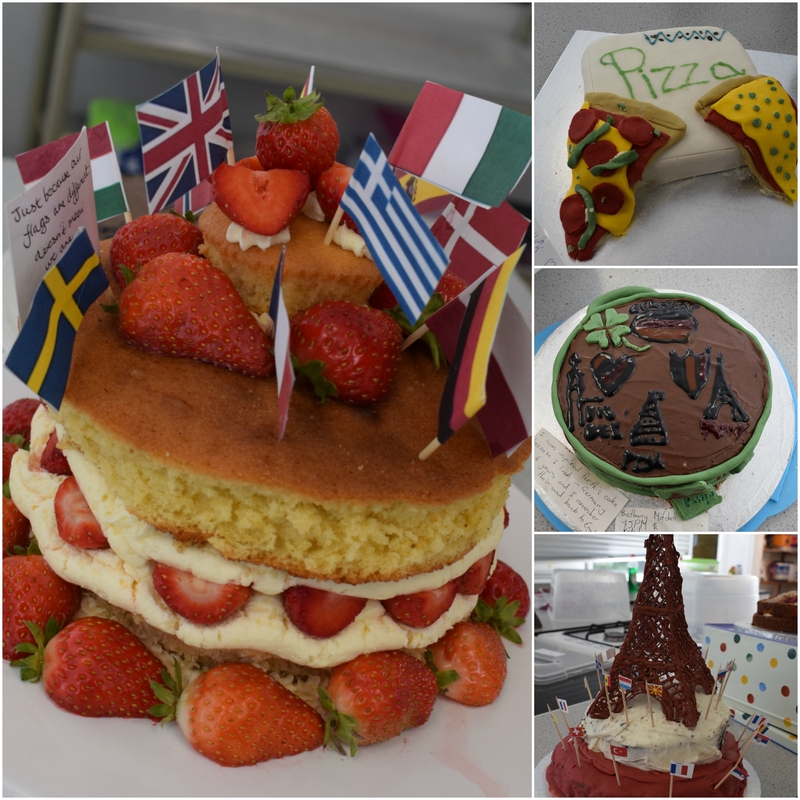 Cakes were judged for the best tasting and the best looking in appearance by Head of MFL – Mlle Machu, Catering teacher – Mrs Law and the Headteacher. Joint 1st – Luisa De Assuncao 7CSM Hawks, Michaela Wall 7SHS Buzzards. Joint 3rd – Daisy Ruddick 7EJN Buzzards, Faith Davis 7EJN Buzzards, Jack Trussler 7EJN Buzzards. Joint 1st Maddison Richmond 7EJN Buzzards, Rae Rungen 7SHS Buzaards, Chloe Shaw 7TMF Kestrels. Joint 2nd – Maria Romanyuk 7KJS Hawks, Sky Hanchant 7SHS Buzzards. 3rd Kacey-Leigh Jones 7SHS Buzzards. 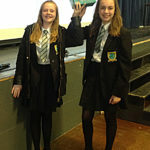 There was lots of competition at the recent House competition; a general knowledge quiz of 50 questions played on the online game platform Kahoot. 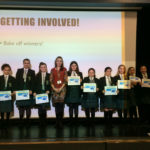 Questions were submitted by members of staff from different subjects throughout the school. These included guess the film, which involved members of staff acting out scenes from a film. It was a close fought contest between Kestrels and Buzzards throughout the competition. 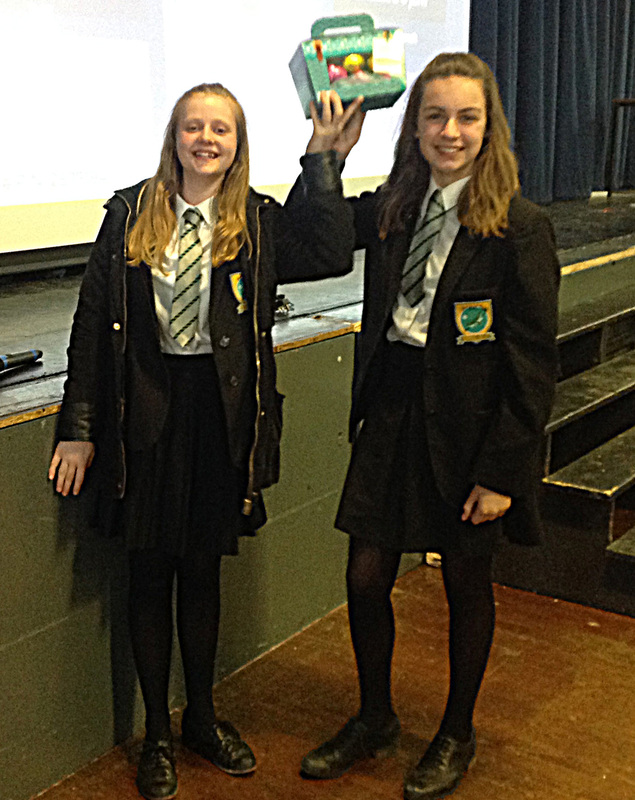 Sophie and Izzy from 8GMO and Toby and Rob from 9EM managed to beat the competition and secure and 1st and 2nd place finish for the Kestrel House. Buzzards Amelia and Hannah were piped at the post after leading for some of the competition, placing in 3rd place. 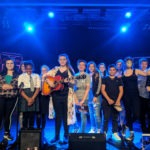 This years house singing competition was as busy as ever with 13 acts taking part to win the H-Factor title of 2018 and points for their house. This year saw a new prize awarded for the ‘Audience Vote’, an awarded which is decided by the audience in a live vote. 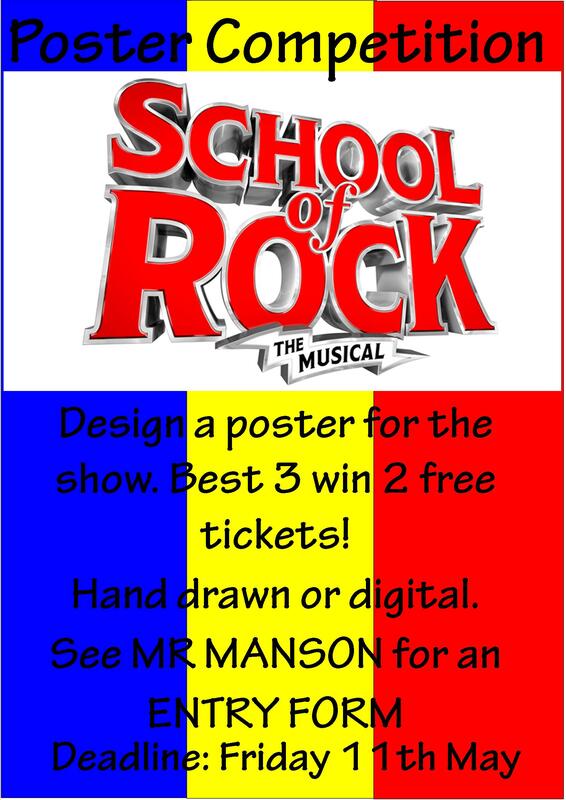 School of Rock Poster competition, design a poster for the upcoming school musical. We are very proud of the House system at Harrow Way. We focus on participation and competition and remain constantly delighted with the amazing contributions that student make across all houses. This is always completely demonstrated by the Buzzard house, who are currently taking the lead in the annual House Points competition. 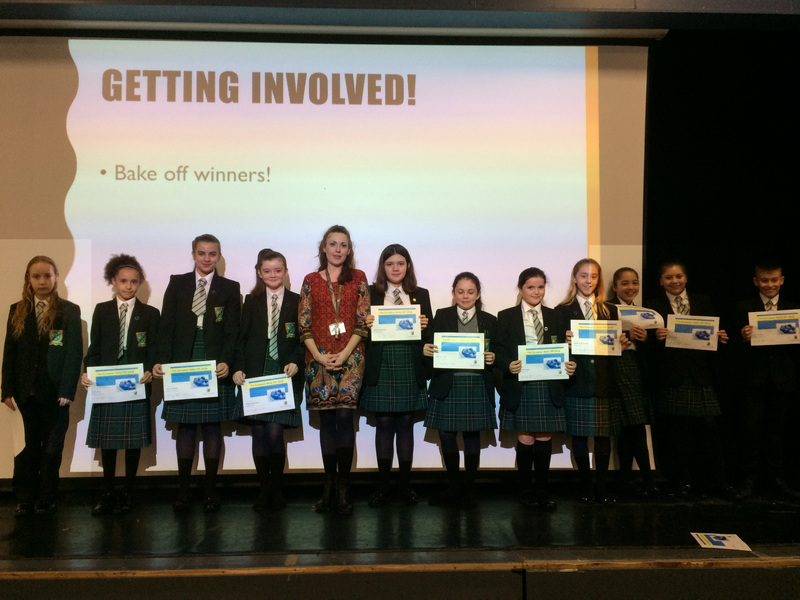 Buzzards are always keen to participate in house competitions and were well represented during the popular Bake Off competition with many members placing in the top 3 for each of the rounds. House Captains, Ellie Peach, Annalisa Brown and Frankie Fisher are all doing outstanding jobs; updating the Buzzard boards with staff Top trumps and visiting Buzzard Tutor Groups to remind them of the importance of getting involved and earning points for the house. Mrs Law, the Boss Buzzard, is really looking forward to the upcoming core challenges and the ultimate finale of sports day in the summer term. Hawks have also competed well in the house competitions so far. 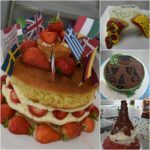 The house won a first place in the inter house Basketball shooting competition and did brilliantly in the European themed Bake Off – a joint first place for Beth Matthews and a second place for Sophia Powell. Hawks were also joint winners at the Christmas Card Competition with Matyida Ostapowicz producing a lovely Christmas Reindeer design. Hawks also gained a very creditable second place in the hotly contested year 9 dodgeball competition and in the year 9 football competition the Girls team currently have a 100% record. Head Hawk, Mr Haysom, would also like to thank the new House Captains Tamara Clackson and James Potter for the brilliant start that they have made. Meanwhile, King Kestrel Mr Manson, says that the Kestrel House have been testing the old adage ‘It’s not the winning, it’s the taking part that counts’ this term. Led by new House Captains, participation has been sky-high in many events but Kestrels have been the victims of the Buzzard winning streak, coming second in many of the competitions and events. With the photography, maths, short story and House quiz competitions still to come this term, Kestrels have plenty of opportunities to catch up with the high-flying Buzzards and get one hand on the House Cup. Kestrels currently stand in second place overall, 1000 points short of first place but 1000 points ahead of Hawks in the dreaded third (last?!) spot in the House Point rankings. Mr Haysom is quick to point out that it is not over yet and to not count the Hawks out until the last point is awarded!